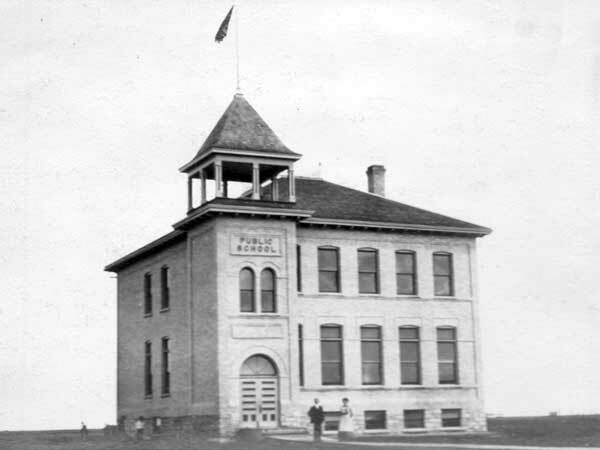 The original Sperling School District was organized in April 1909 in the village of Sperling in the Rural Municipality of Morris. 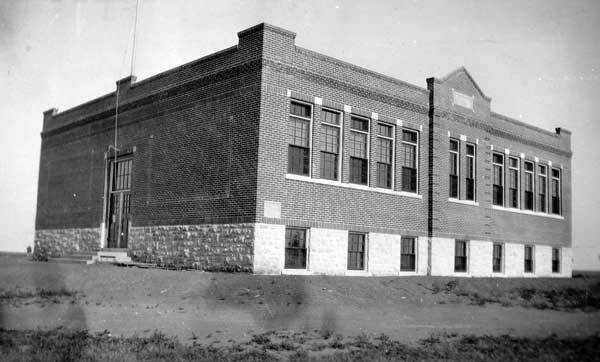 It became Sperling Consolidated School through the consolidation with Garnett School No. 210, Tremont School No. 1127, and Lone Star School No. 1629. 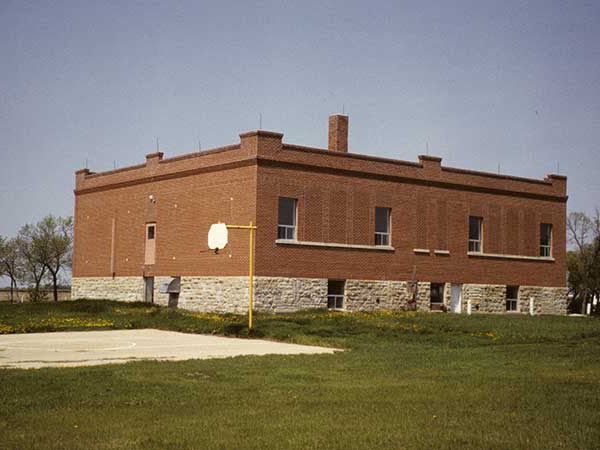 A two-storey, four-classroom brick structure was erected in 1910. The building was destroyed, by a fire started in coal stored in its basement, on 23 May 1924. 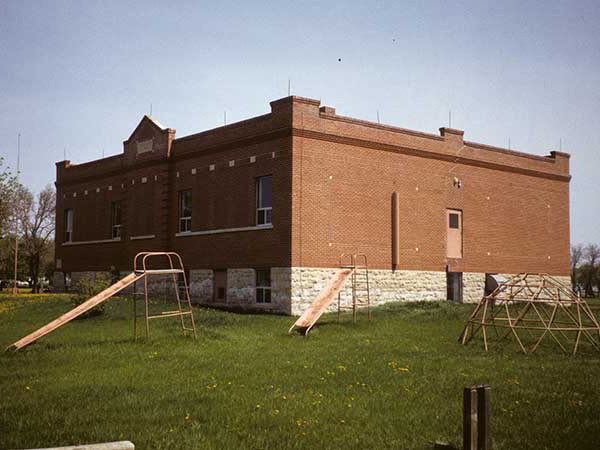 It was replaced by a one-storey, four-classroom building, designed by Winnipeg architect Alexander Melville, that opened in November 1924. In January 1968, it became part of the Midland School Division. The former teacherage was sold in 1974 for use as a private residence. The school closed in 1987 and the building was demolished in early 2006 after standing vacant. 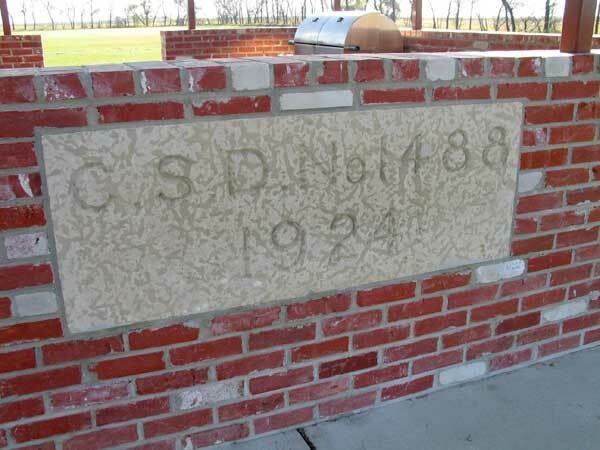 Its corner stone and some bricks from the building are preserved in the wall of a picnic shelter in a public park at the site. Source: Historic Resources Branch, Public School Buildings Inventory, slide 721. 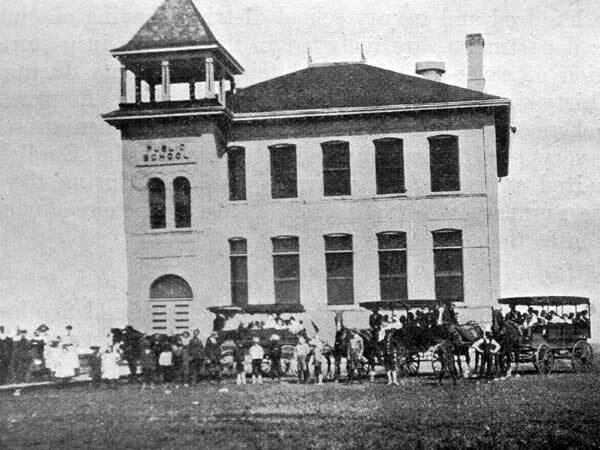 Source: Historic Resources Branch, Public School Buildings Inventory, slide 722. “Tenders for Sperling Consolidated School,” Winnipeg Tribune, 4 July 1924, page 16. Aerial photograph A11638-199 , Manitoba Air Photo Library. We thank Patricia Tennent, RM of Dufferin, Suzanne Schroeder, Ed Leask, and Glenn Peckover for providing additional information used here.